Dr. Pipe's primary clinical interest is inherited and acquired bleeding and thrombotic disorders, including hemophilia, vol Willebrand disease, rare coagulation factor deficiencies and thrombophilias. He also manages complicated hemangiomas and vascular anomalies in infants and toddlers. Dr. Pipe's research has focused on several aspects of the structure and function of coagulation factor VIII in an effort to generate a form of recombinant factor VIII with either increased specific activity or longer half-life. He has also investigated the factor VIII secretion pathway, characterizing some of the molecular interactions of factor VIII with protein shcaperones within the endoplasmic reticulum. Insights in this area have lead to interventions that improve the efficiency of factor VIII secretion and may have application to recombinant factor VIII manufacturing and hemophilia gene therapy applications. Dr. Steven Pipe completed his undergraduate medical training at the University of Toronto, and his pediatric training at McMaster University in Hamilton, Ontario. He came to the University of Michigan in 1993 and completed his pediatric hematology and oncology training in 1996. Dr. 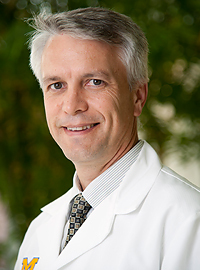 Pipe is an Associate Professor of Pediatrics and Pathology and currently serves as Director of the Division of Pediatric Hematology and Oncology, Pediatric Medical Director of the Hemophilia and Coagulation Disorders Program and Director of the Special Coagulation Laboratory. His clinical interests include both bleeding and thrombotic disorders as well as congenital vascular anomalies. Dr. Pipe also directs a basic research lab investigating coagulation factor VIII and molecular mechanisms of hemophilia A.